Over the weekend, my friend and I were cycling down to Long Beach to waste some time. When we got there, we decided to stop for lunch at Subway. That’s when things got ugly. After we sat down, this elderly woman and what seemed like her young caretaker came in. The caretaker took her elderly counterpart and had her “Sit down and be quiet.” How mean, I thought. When this caret aker went to the counter to order, I could hear how disrespectful and demanding she was. When the employees told her they didn’t serve coffee in the afternoon, she flipped out and told them they were jerks. She got her food and sat back down. Well. This is obviously a case of a snobby annoyed caretaker that is angry at the world because she makes minimum wage. The way she treated that old woman was deplorably reprehensible! Looking back, I can tell that the caretaker will have it coming. In my high school English class, we read the book “Oedipus Rex” in which the main character, Oedipus, curses his sons for not taking care of him or coming to see him. Guess what happened next? They died. There are many abusive caretakers out there and this was just one of them. 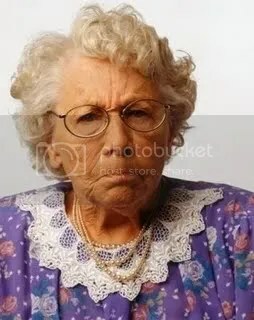 I would’ve stood up for this old woman but I didn’t want to get into something more than verbal, which was very possible with this aggressive lady.